Emilia-Romagna is home to one of Italy’s oldest springs: Galvanina, which is located in the town of Rimini, birthplace of famed director Federico Fellini. 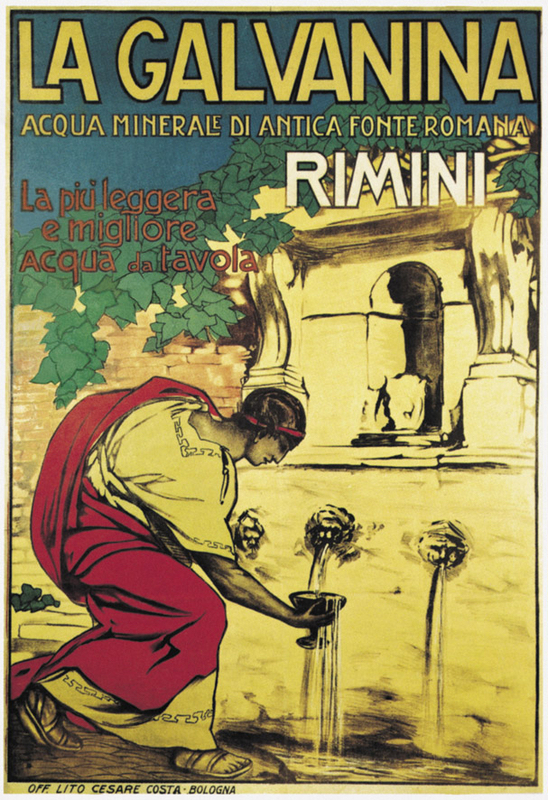 The mineral water from this natural spring has been renowned since ancient Roman times when nobility would vacation near the source to enjoy the water’s many health benefits. The spring sits 1,000 feet above sea level, at the peak of San Lorenzo Mountain, a site so lovely that centuries ago it was nicknamed Paradiso, “Paradise,” but the water starts hundreds of miles away in Italy’s Apennine Mountains. Rain collects in pools underground then slowly passes through sandstone and clay, becoming naturally carbonated and enriched with a delicate balance of minerals as it travels to the springs. The water’s trek takes almost three years moving through this natural filter until it bubbles out of the spring ready to be bottled. I recently visited Galvanina to discover for myself why these springs there have been written about for centuries. I was guided through the long underground tunnel the company built so visitors could view part of the spectacular journey the spring water travels through this Nature’s filtrations system. 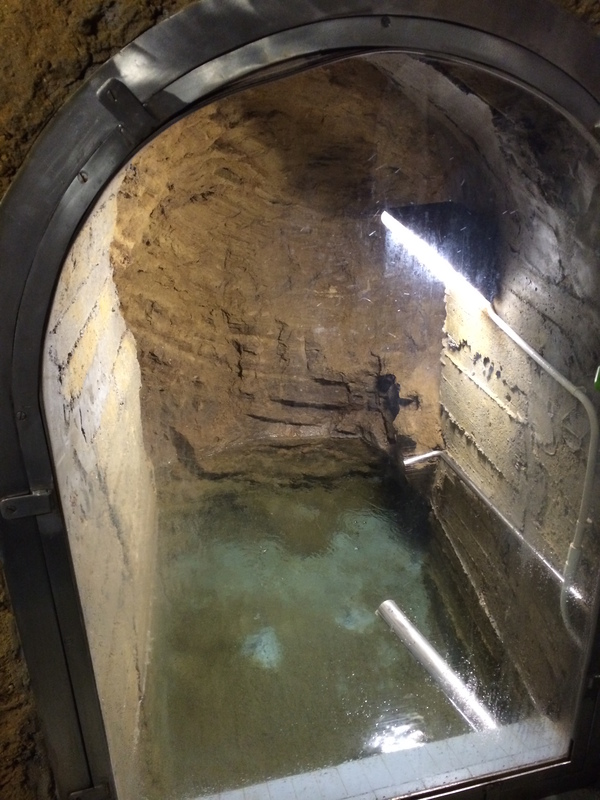 At the end of a long tunnel, lined with glass observation windows,there is a faucet so visitors could sample water flowing directly from the spring right into their glass. One of the highlights of the visit was the chance to taste the water right out of the gurgling spring! As the water travels it picks up just the right mix of minerals and natural salts. Like with wine, the water’s terroir imparts unique quality, crisp with clean balanced minerality. The effervescence is ideal, with the perfect tingle of refreshing bubbles. After this visit I truly understood that not all sparkling water is the same! 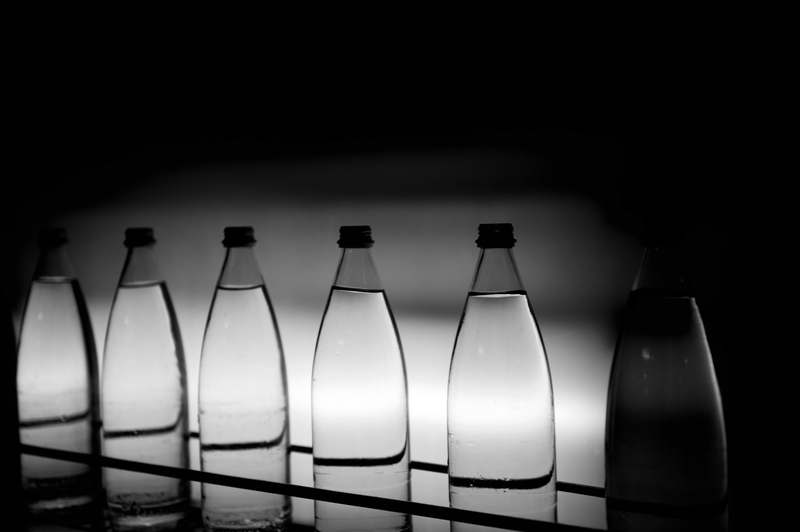 Galvanina water is naturally effervescent, while other sparkling waters have bubbles added to them using carbon dioxide. Back in the 1960s during excavations to create the viewing tunnel and repair the ancient Roman fountain nearby, the company discovered a remarkable number of archeological finds. 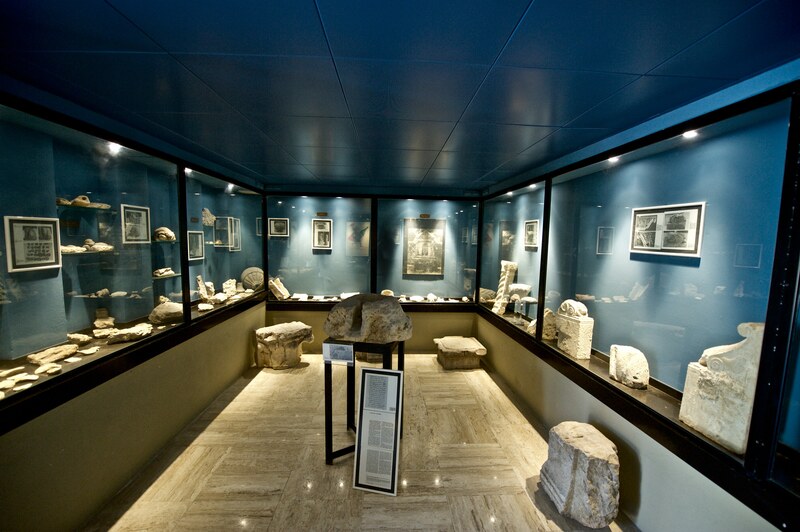 If you visit Rimini, be sure to stop by the Galvanina Museum to see these interesting unearthed objects including a marble bust dating to the time of Caesar Augustus (1st century BC), ancient Roman amphora, terracotta water pies and a Renaissance (16th century) coat-of-arms carved in stone that is now incorporated into the Galvanina logo. Like this article? Don't miss "8 Health Tips from Ancient Rome"
Sparkling water is perfect to use to make your own low or no calorie thirst-quenchers. Combine sparkling water with fruit slices or juice for homemade natural fruit drinks. Stir in cucumber slices and fresh mint for a post-workout refresher. Use spring water when you brew coffee too. 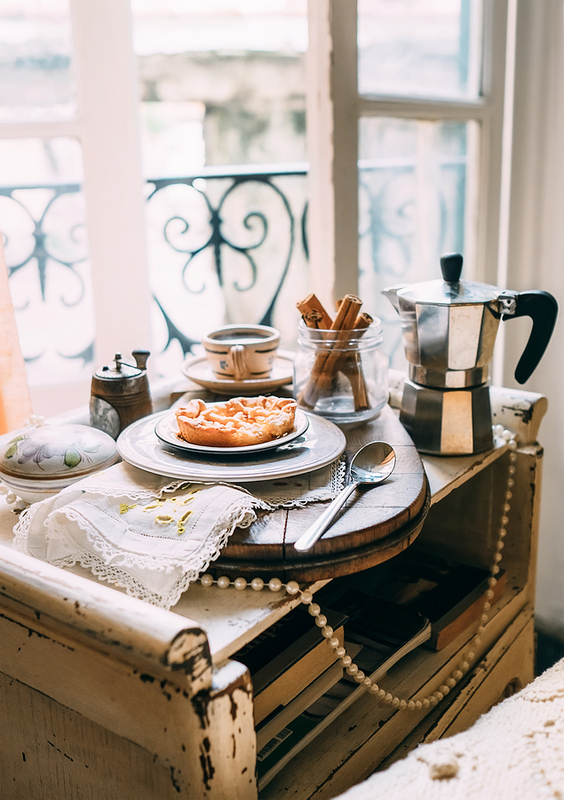 Not only will it make chemical-free espresso or coffee, but it has the delightful added advantage of keeping your machine from building unpleasant residue. Sparkling mineral water is also idea for cooking. For brilliant, colorful veggies, from strikingly green broccoli to vividly orange carrots, cook them in sparkling mineral water. Explains Mini, “Boiling vegetables in sparkling water preserves color, and even more importantly, vitamins. Mineral water decreases oxidation and the loss of chlorophyll and carotenoid pigments, keeping vegetable’s bright colors.” Sparkling mineral water also softens vegetables so you can reduce cooking time, another way to better protect vegetable’s vitamins and nutrients. It lets you skip the step of plunging cooked vegetables in ice-cold water to retain their color.